A trailer and poster have been released for the US release of the great Japanese filmmaker's latest. There aren't many filmmakers working today on the level of Japan's Hirokazu Kore-eda. His previous film, Our Little Sister, topped our best of 2016 list, so we're more than a little excited for his next, After the Storm. Dwelling on his past glory as a prize-winning author, Ryota (Hiroshi Abe) wastes the money he makes as a private detective on gambling and can barely pay child support. After the death of his father, his aging mother (Kirin Kiki) and beautiful ex-wife (Yoko Make) seem to be moving on with their lives. 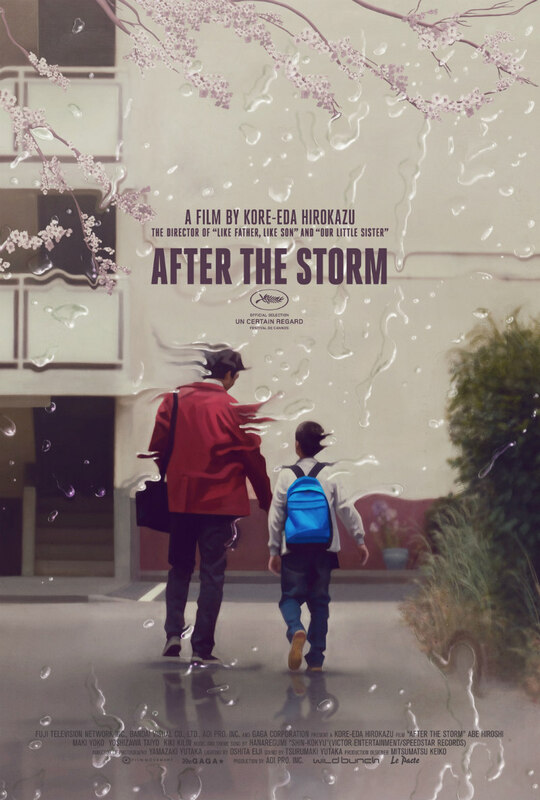 Renewing contact with his initially distrusting family, Ryota struggles to take back control of his existence and to find a lasting place in the life of his young son (Taiyo Yoshizawa) – until a stormy summer night offers them a chance to truly bond again. We're still waiting for confirmation of a UK/ROI release date at this point, but courtesy of The Playlist, the film's US trailer and poster have now been revealed ahead of a limited theatrical run Stateside on March 17th.